Shopping for golfers is difficult. Golfers are very particular about their equipment and avid golfers usually get their gear custom fitted. So buying clubs is a bad idea. Unless you know exactly what they want (in which case you wouldn’t be reading this) then your chances of selecting the right golf club is pretty much zero! But that doesn’t mean there aren’t any good options out there when it comes to golf gifts. These are the gifts you want to check out if you are shopping for a golfer that is very special to you or that you really want to impress! These aren’t the cheapest options out there but the golfer that receives them will definitely remember you. Lessons are the next best thing to buying a lower score for the golfer in your life. Everyone of every skill level could use lessons. Even pros have instructors they work with to keep their game sharp and work on improving. If you want to gift some lessons to someone, it is probably a good idea to check with them to see if they have an instructor that they are already working with or if there is someone local that they have in mind. Finding an instructor has a lot to do with finding someone that you can connect with. So it can be difficult to surprise someone with lessons. In the alternative, you could get them some online video lessons. One of the best programs out there that I can recommend is The Scoring Method by golf coach Will Robbins. This makes a great gift because the lessons focus more on strategy and the mindset needed to score well that can benefit anyone of any skill level as opposed to specific swing tips that should be tailored to the specific golfer. It is also a LOT less expensive than in person lessons! Gone are the days when you needed to rent out time at a multi-thousand dollar simulator to get accurate measurements on your swing. This information can be invaluable to see on a real time basis. You will be surprised how quickly you can improve your swing just by getting accurate real time feedback from a launch monitor. Probably the best consumer launch monitor for the money is the Voice Caddie SC 200. It is easy to set up, easy to calibrate, and portable, so you can take it to the range. It is also relatively affordable compared to other launch monitors with similar accuracy. A step up from a portable launch monitor is a home simulator setup. These are the ultimate gift for the golf obsessed. As long as you have the space to swing a golf club and hit a ball into a net, you can set up a golf simulator in your home. Having a golf simulator in the home so you can play all winter is pretty much a dream of any golfer. This has the potential to be the best gift possible for the avid golfer. And a decent simulator isn’t as expensive as you may think. Check out the Optishot 2 Golf Simulator. It is by far the best option for a golf simulator that won’t break the bank. All you need to get started is a place to swing a club and a computer to attach it to. You can even use the Optishot without having to hit a golf ball (or with a foam golf ball). So it is perfect for someone who has room to swing a club but may not want to hit an actual golf ball in the house. The Optishot is not as accurate as the more expensive simulators you might see in a golf store, but it’s good enough to keep most golfers swinging all winter. Want to get a golf gift that is really over the top? How about a motorized golf cart that follows them around the course?! The Stewart Golf X9 Follow Electric Cart is a pretty impressive piece of technology. Like a lot of remote controlled motorized golf carts, you can control it with some basic functions like left, right, straight, and reverse. But who can be bothered with controlling a cart when they’re playing golf? Sync up the Bluetooth in this device to your phone and the X9 will follow you around the course! Moving on to a more reasonable price point, there are still a lot of great options for giving a gift to your favorite golfer. Everyone needs more golf balls. Whether you lose them or wear them out, having a good supply on hand is a necessity. That makes them the perfect gift for the golfer in your life. 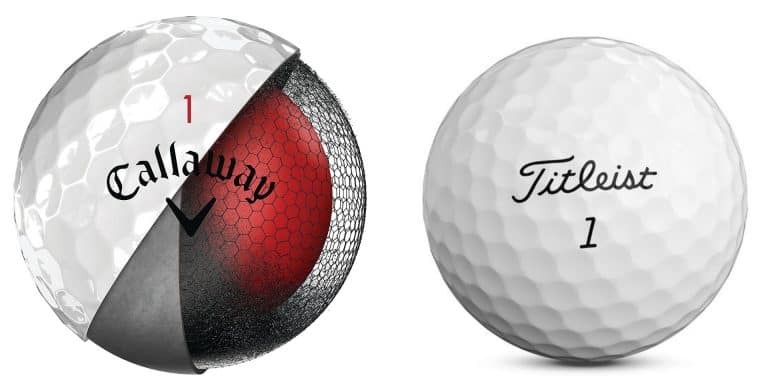 If you’re looking to get the most popular high quality high end golf ball on the market and don’t know which ball they usually use, then go for the ProV1. It’s a pretty safe bet that they will be happy with that choice. Looking for a stocking stuffer or maybe something for a few co-workers that love golf. You don’t have to break the bank to find a cool golf gift. Just about every golfer needs more tees. I know I always run out of them at the least opportune time and wish someone had bought me some for a gift. You really can’t go wrong here. Tees may not seem like much, but they are important. A practical gift like this will be well appreciated by most golfers. These tees are the classic wooden tees used by the vast majority of golfers. You can go for the large bag and still be way under budget. Every golfer should have a divot tool. The divot tool is used to fix the green when the impact of the ball makes an indentation in the green. They can come in a wide range of quality from cheap plastic to very nice metal divot tools. Some of the nicer ones come with a magnet ball marker attached to them and also are shaped to let you stick them in the ground and rest the grip of your club on it to prevent it from getting wet. This divot tool is very popular on Amazon and has all the features that a golfer would need. A ball marker is what a golfer uses to mark the position of his ball on the green so they can pick it up and clean it before putting. The green is the only place where a golfer can always pick the ball up and clean it. 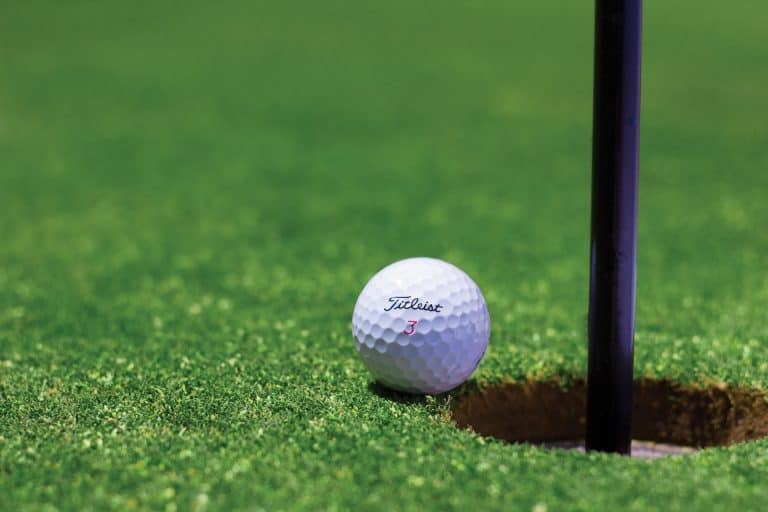 A good ball marker is made solidly enough to not be moved accidentally or by the wind but also thin enough not to interfere significantly with another player’s ball if it inadvertently rolls over it. I am constantly losing ball markers, so I always appreciate it when I get one for a gift. You can see a wide assortment of ball markers available on Amazon here.